What’s running Android Jelly Bean and coming straight out of New Delhi, India? The latest Micromax Canvas concept phone, created by Deepak Ahuja. 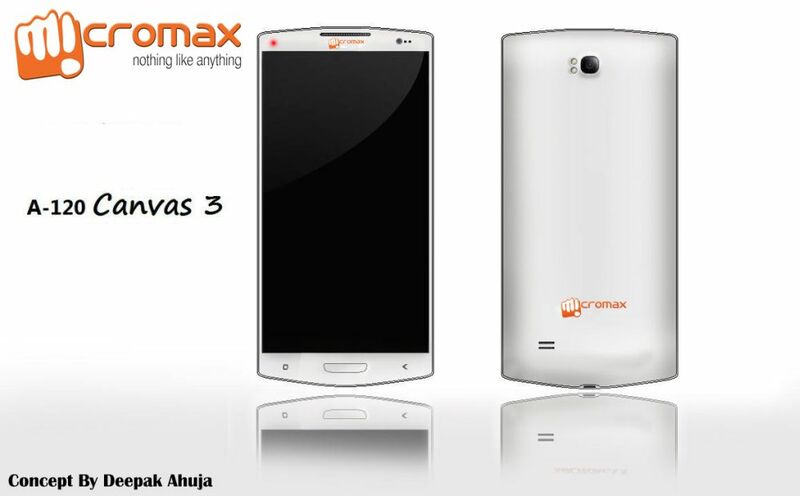 He imagined a Micromax Canvas 3 A120 smartphone with Android 4.1.2 Jelly Bean on board and a 5 inch IPS LCD display with a 720p resolution. Inside it we find a 1.7 GHz quad core processor with Cortex A9 technology, while at the back there’s a 12 megapixel camera with dual LED flash and upfront a 2.1 megapixel secondary cam. The device comes with 8/16/32 GB of storage and 2 GB of RAM, as well as a 2800 mAh battery, that feels huge even for a 5 inch phone. The design of the Micromax Canvas 3 handset feels like a more rectangular Galaxy S with a Home Button shape that clearly reminds me of Samsung. The back side looks really smooth and elegant and the camera and flash may be a bit too small to be realistic. Those are my only objections, but overall the concept is pretty good and it would be cool if a future Indian phone would look like that.